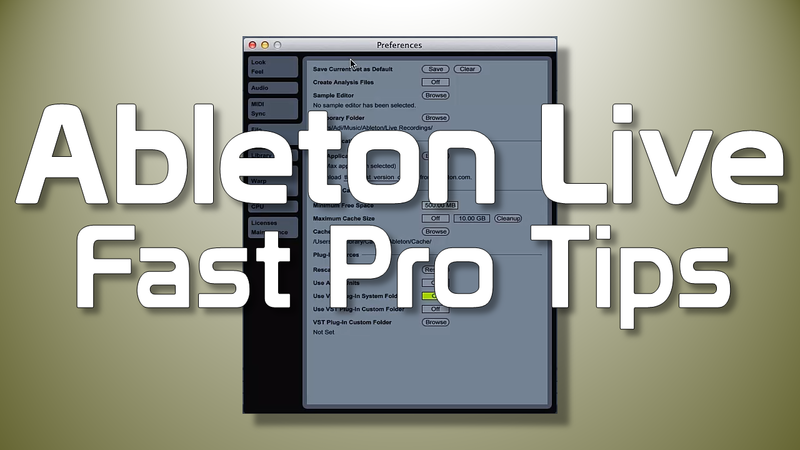 Ableton Live Fast Pro Tips – Here’s some quick tips for Ableton Users. This will help you get up and running each time you start a new track or project. By saving out your setup, when you start up again, you’re good to go. Shortcuts, because life is too short. This will help speed up your workflow so you can keep that creative spark flowing when it strikes. Let the locator work for you. This will help, even suggest, new riffs when following the method. When you’re working on your current project, but miss something from your last project that would sound great if you had it ? Simple, just merged the old project in. Get those effects grouped, then Macro them up for some fast and efficient customization of your sounds. Squeeze more and more out your CPU so you can keep composing like a boss.